Motor Cycle Cam Buckle Tie Down assemblies are the complete lashing system purposely made for Motor Cycle lashing requirements. • Lashing capacity of 250kg per pair with 25mm Webbing. • Manufactured from high tenacity polyester Webbing, with Cam Buckle, S-hook and Snap Hook. 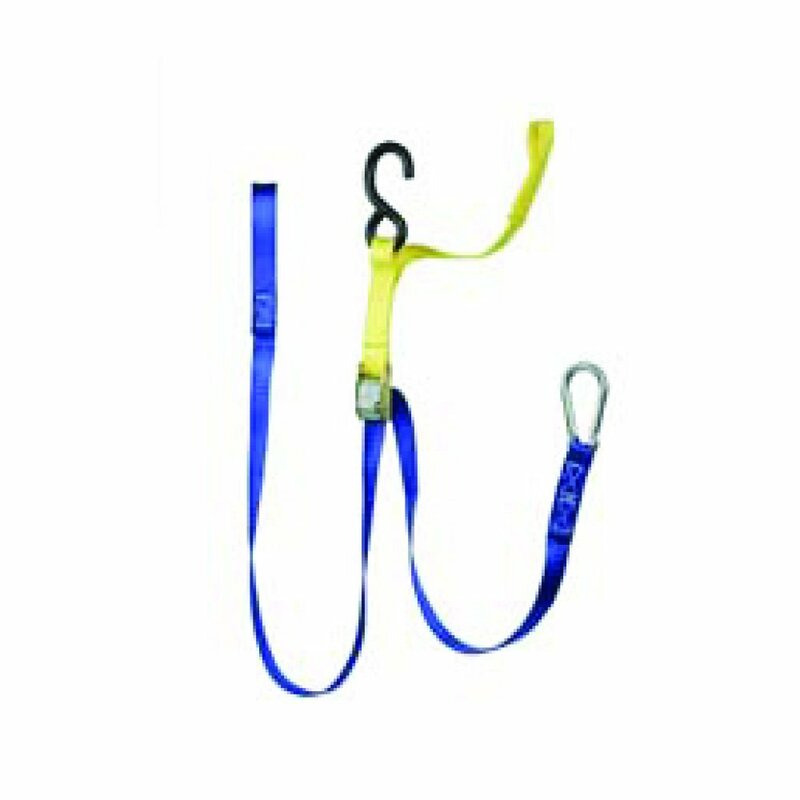 • ID tagged with, lashing capacity, strap length, safety information, date of manufacture, batch numbered and branded for traceability.